Enhance your knowledge of spectrum management and monitoring at our tuition-free, five-day program. The course focuses on the practical application of ITU-compliant spectrum management and monitoring techniques and the modern day challenges associated with both, including licensing tools, propagation analysis tools, radio direction finding and signal measurements for fixed, mobile and transportable applications. The course employs classroom and hands-on activities to provide students with a practical overview of spectrum management and monitoring techniques and their interaction. Classroom time is used to instruct in system planning and coverage analysis, the principles of propagation analysis, operational principles of a monitoring station, principles of signal measurements, radio direction finding, signal identification and recording and RF drone detection techniques. The hands-on portion of the course will demonstrate real-time application of the principles taught in the classroom and include mission planning, operational set-up, running missions and data analysis. transmitter measurements as required to ensure compliance to the radio regulations. We recommend that, in addition to applying for Practical Applications of Spectrum Management and Spectrum Monitoring, you also consider applying for USTTI Course 19-112, Introduction to Radio Spectrum Monitoring and Measuring. 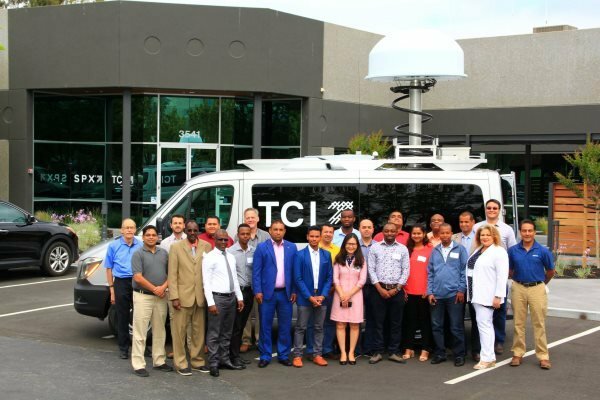 Scheduled for May 6 – May 10, 2019 in Columbia, Maryland (Washington, DC area), Introduction to Radio Spectrum Monitoring and Measuring forms a natural precursor to our tuition-free, five-day course. TCI’s longstanding commitment to spectrum monitoring includes advancing the state of technology, as well as enhancing the expertise of users. This year’s seminar offers you an unusual opportunity to acquire practical knowledge and technical insights from an exceptionally accomplished team of spectrum professionals. We hope you’ll join us. For more details or to apply for this course (19-113) today, please click here.